If you’ve been following me at all on Instagram or Twitter, or saw my most recent Wednesday Wanderlust post, you’ve probably figured out that I’m a little fall obsessed lately – especially with the changing colors of the trees here in Colorado. 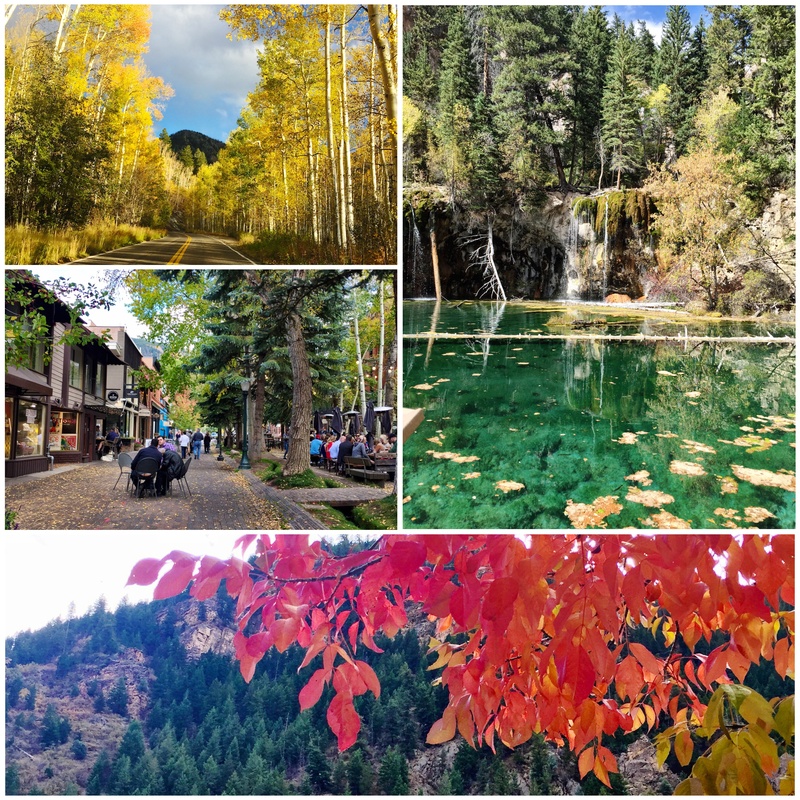 This past weekend, I was finally able to spend two days surrounded by the brightly colored aspens in Rocky Mountain National Park, Glenwood Springs, and Aspen. Fall hikes are my favorite because the air finally cools down but the sun keeps you warm, and everything seems to glow, even if the clouds roll in. Nothing compares to the crisp fall air and smell of the changing season – crunchy leaves and damp moss. 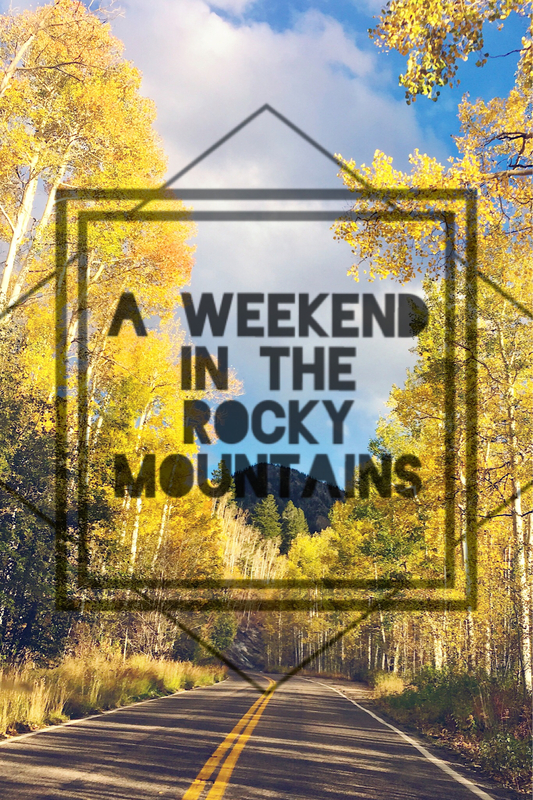 If you’re in Colorado and overwhelmed by the number of hiking trails, try checking out either Mills Lake in Rocky Mountain National Park near Estes Park or Hanging Lake just outside of Glenwood Springs. Both trails are well established and have nice facilities and rangers at the trailheads. The Mills Lake trail is about 2.5 miles each way from the parking lot and passes by Alberta Falls, a large waterfall with a lot of great views of the surrounding area. 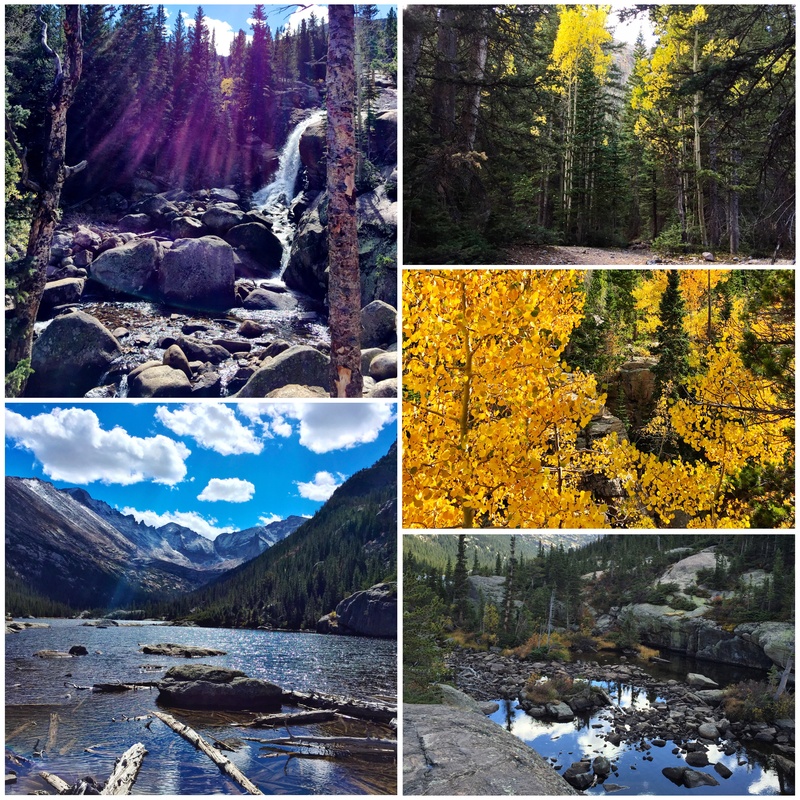 It ends at Mills Lake, a subalpine lake surrounded by flat rocky areas perfect for a picnic. The Hanging Lake trail is only 1 mile each way, but at a much steeper incline. There are quite a few rocky scrambles, but the payoff at the end is worth the difficulty of the trail. The pictures of the lake are beautiful but still do not do this undisturbed ecosystem justice. After the hike, we headed to Aspen by way of Glenwood Springs for dinner. Downtown was pretty quiet and we found lots of restaurants that looked amazing. I only wish we had more time to try them all! On the way back from Aspen we drove over Independence Pass and the Continental Divide. The winding road was framed with aspens and passed by the most picturesque houses, trails, and streams. I would definitely take a day trip during fall just to drive that way again!